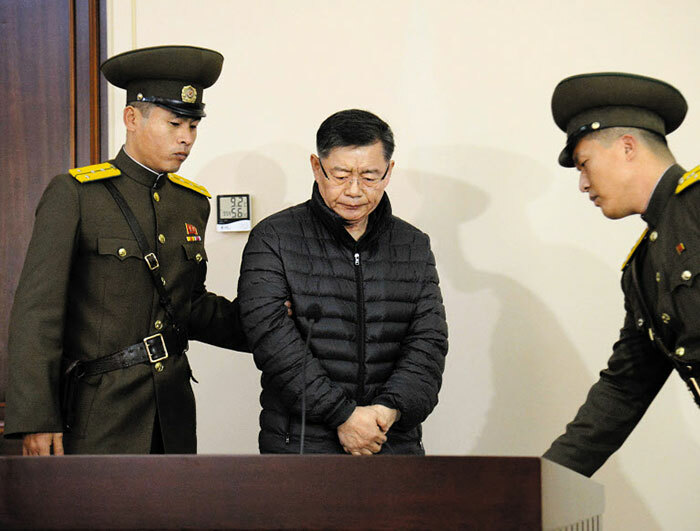 North Korea on Wednesday said it has released Korean-Canadian pastor Lim Hyeon-soo for humanitarian reasons. Lim was arrested in 2015 for alleged crimes against the state -- code for proselytizing -- and sentenced to life in prison with hard labor. But the North's official Korean Central News Agency said a court ordered Lim's release on sick bail "from the humanitarian viewpoint." Lim's release was apparently won by a special delegation sent by Canadian Prime Minister Justin Trudeau on Tuesday. In June of this year, U.S. university student Otto Warmbier was released from North Korea in a comatose state and died shortly after his return to the U.S.
Six South Koreans and three Americans are still being held in North Korean prisons.